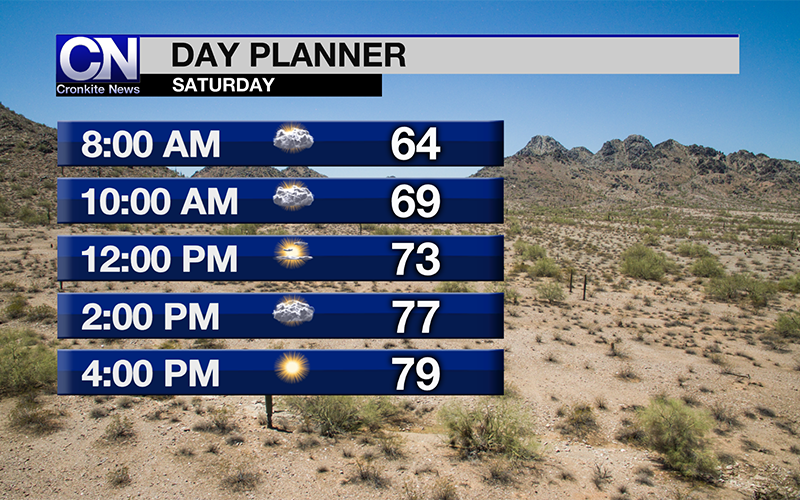 PHOENIX – This weekend should be perfect for outdoor activities, with highs in metro Phoenix expected to stay in the 80s. 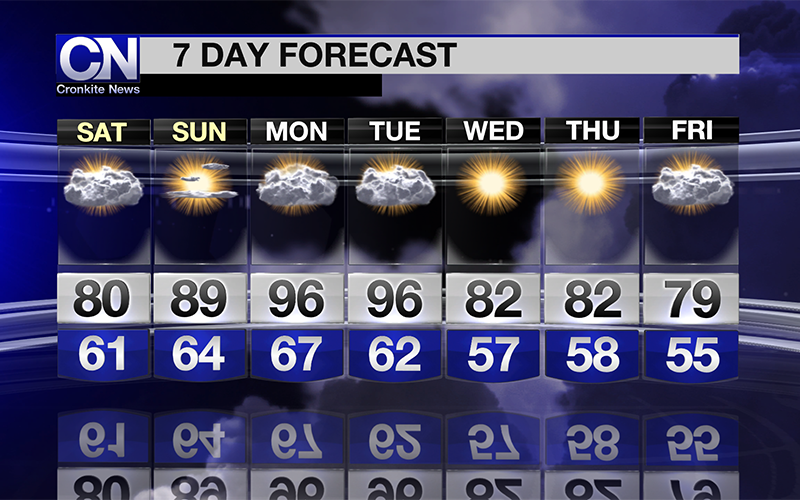 But cloudy conditions will come and go for much of the next few days, and the 90s could be just around the corner. Overnight lows are expected to be in the low 60s, but temperatures will rise throughout the day Saturday, reaching the 80s. 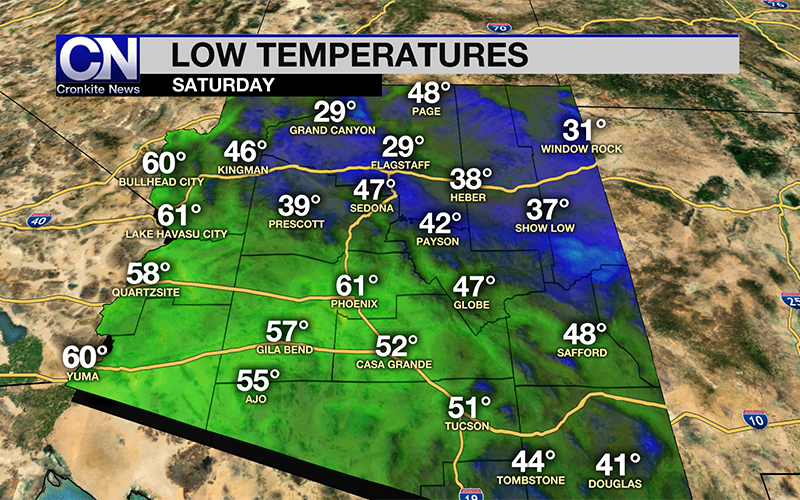 Northern Arizona should see overnight lows in the 20s and 30s, but highs of 60s and 70s by early Saturday afternoon and evening. Phoenix is forecast to hit 96 degrees Monday – which would be our first 90 of the year – and again Tuesday. Historically, Phoenix records its first 95 degrees on April 14. 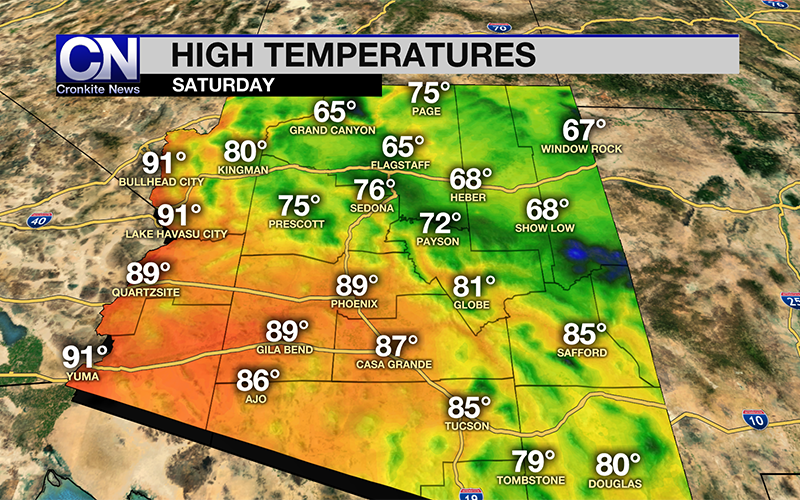 Metro Phoenix is expected to drop back into the 80s on Wednesday, and temperatures will continue to decrease through Friday.